A 19-year-old yeshiva student who had intended to enlist in the Israeli navy tells Arutz Sheva why he may give up on the course after all. 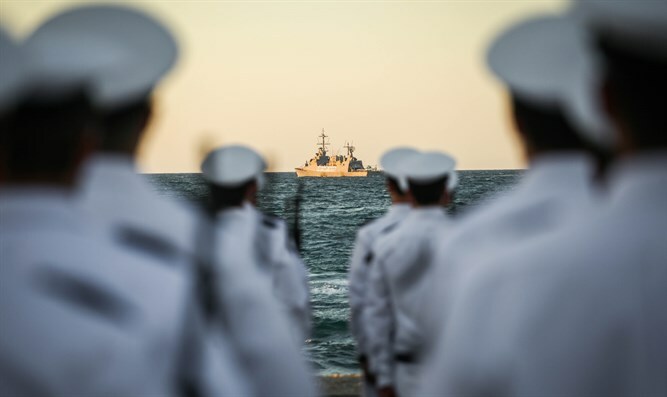 Yishai, a 19 year old yeshiva student who had intended to enlist in the Israeli navy, told Arutz Sheva how the navy's conduct may lead to his giving up on the prestigious naval officer's course. Yishai completed the orientation course a year ago, when he was in the 12th grade, but given his desire to attend a yeshiva before serving in the navy his draft application was rejected. He maintained regular contact with all of the relevant parties and offices to keep his dream of being a navy officer alive. Two months ago, army officials made it clear to Yishai that if he wanted to keep his place in the course, he would have to choose between enlisting in March, or enlisting in October. Yishai asked to be allowed to postpone his enlistment to March, 2018, in order to complete a full year of study in a yeshiva before his enlistment, as well as his desire to avoid being enlisted at a time when he might be forced to serve alongside women, whose recruitment occurs in October. The army agreed to Yishai's request. He said that the Navy understood his desire to avoid serving alongside women, but a month later he was contacted and told of the new directive of the navy for mixed gender units. Yishai said that the new directive is a step too far for him. "As a religious person, I cannot enter courses in this reality. The course is very physically demanding,with a lot of teamwork at sea and in tight conditions, and to do that with women is not possible for me as a religious man,"
According to Yishai, the number of female naval recruits is minimal, and that the solution which would allow the integration of female soldiers into the navy is to have separate times of recruitment for men and women. As a result, he is now considering dropping out of the course so as not to violate his religious convictions. A Navy spokesperson denied that there has been a change in policy allowing the recruitment of women during the March recruitment season. According to the spokesperson, women are only recruited in October, and any soldier who wishes to avoid taking the course alongside women may do so in March.